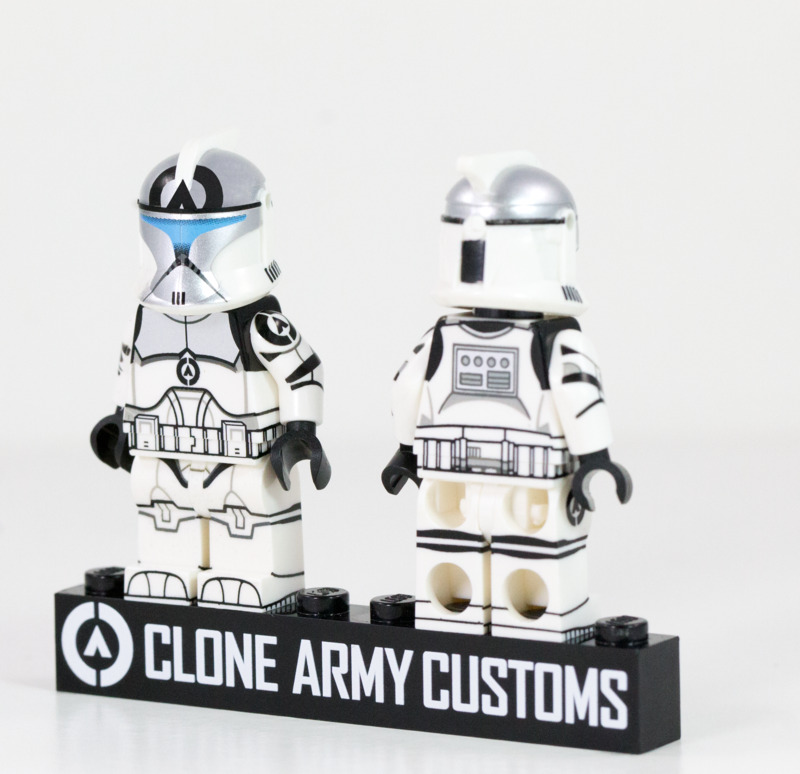 Features CAC logo on the helmet, torso, leg, and arm. Also has Metallic silver print on the torso and helmet as well as commando style light blue eyes. 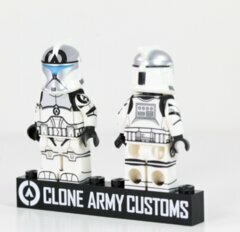 and a LEGO Brick with "CloneArmyCustoms" Printed onto it.